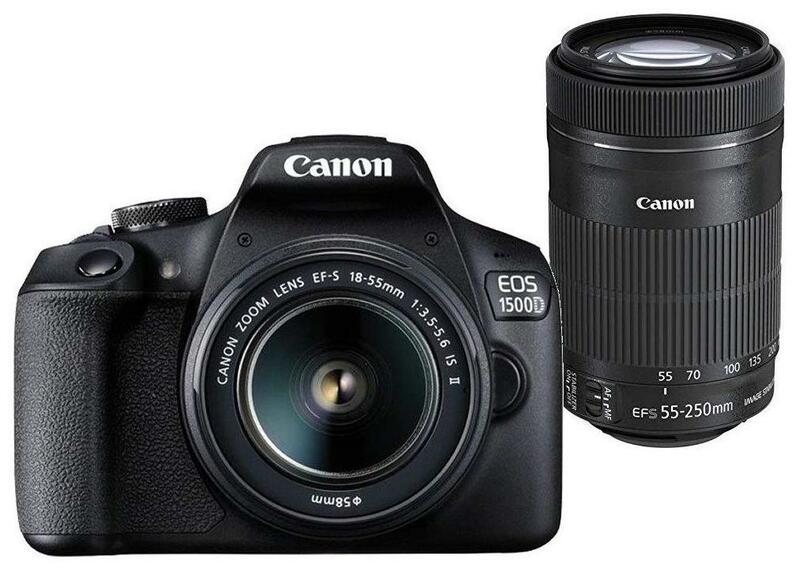 The Canon EOS 1500D Kit (EF S18-55 IS II/55-250 mm) 24.1 MP DSLR Camera will be a smart pick for those who are planning to get a DSLR. Pair your camera and smartphone via Wi-Fi / NFC and the Camera Connect App, and you can easily use your smartphone to browse, save and upload your camera images to social media, or to carry out remote shooting-great for self-portraits and group photos. Moreover, you can transfer the files very easily to other devices, it comes with a wide range of connectivity options.